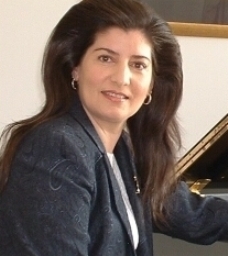 Ildiko Skeldon received her Bachelor of Music Degree – Piano Performance – from the University of British Columbia. While her principal teachers were Lee Kum-Sing and Pawel Checinski, she also received coaching performing in master classes with Robert Silverman, Ivan Moravec, Menaham Pressler and Anton Kuerti.Summer studies were pursued at the Liszt Academy in Budapest, Hungary. Ms. Skeldon has been a Senior Examiner with the College of Examiners – RCM Examinations Toronto – since 1994,examining in both Canada and the USA.She has adjudicated numerous festivals across Canada; is also a member of the Canadian Federation of Music Teachers Association, as well as being a sanctioned Music Festival Adjudicator (Judge) with the Canadian Music Festival Adjudicators Association. She is pleased to have been accepted and is a member of The Piano Teachers Federation. An active member of the B.C. Registered Music Teachers Association, she currently serves on the Richmond Executive as Member at Large. She served as the Chairman of the Board of Examiners for B.C. Provincial Council from 1998 – 2011, after having been Branch President (Richmond) from 1991-1997.She is also past Chair of the Professional Development Committee for B.C. Provincial Council and Board of Directors for the Richmond Concert Association. Her own solo CD was released in 2002 – a recording of live solo piano performances encompassing the past 20 years of her performance career. Ms. Skeldon now devotes her energies towards teaching, pedagogy, coaching, master classes and examining while directing a successful music studio in Richmond, B.C.Her student of 14 years, Kenneth Lee, was chosen to represent Richmond at the B.C. Piano Competition held in Harrison, B.C. in September of 2008. This was the first time in 20 years that Richmond had representation at the Piano Competition! 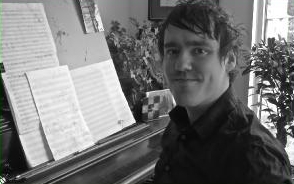 I am very pleased that Ryan Trew is part of my Piano And Theory Lessons music studio team. He has been teaching theories in partnership with me for the past 15 years. Throughout his academic career, Ryan has studied with several important Canadian composers including: Christos Hatzis, Glenn Buhr, Peter Hatch, Ka Nin Chan, Linda Smith, and Stephen Chatman. Ryan’s work has been commissioned and performed by the Vancouver Symphony Orchestra, the Prince George Symphony Orchestra, the UBC Symphony Orchestra, the Kitchener-Waterloo Symphony and the Wilfrid Laurier (Alumni) Flute Ensemble under the direction of Dr. Amy Hamilton. Ryan has an extensive experience in teaching Theory, Harmony and Music History courses both privately and in group lessons. He taught theory in Semiahmoo Academy of Music, British Columbia Conservatory of Music and Music Centre in Barrie, Ontario. His teaching and preparation students for RCM exams is very effective with usual First Class Honors Marks at the exams.